Contest: La-Z-Boy "Design Dash 2018" win $15,000 in La-Z-Boy furniture. 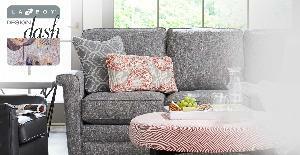 La-Z-Boy "Design Dash 2018" win $15,000 in La-Z-Boy furniture. Statistics: This contest was opened by 126 and entered by 26 ContestChest.com members. 21% of those who opened the contest, entered it.